"To apprehend the world about us in all its brilliance and diversity, and to bear in mind both its inner and outer content." The work of Natalia Goncharova oscillates between tunes of the sacred and notes of the profane. From an influential, wealthy, and musical family, the artist's own interests lay with Russia's rural workers and by seeming contradiction, with a cast of otherworldly characters. In her paintings, peasants portrayed in the throws of their labor - cutting hay, shaving ice, washing, and weaving - are imbued with monumental dignity. Through repetitive everyday tasks, Goncharova observed the same celestial strength more commonly associated with religious figures, and in this sense merged the realms of heaven and earth in her pictures. Alongside her lifelong love and fellow artist, Mikhail Larionov, Goncharova was part of the Russian avant garde generation involved in a relentless exploration of different visual styles and shifting ideological standpoints - eventually pioneering Rayonism. Not adverse to working in dialogue with popular culture, the artist worked closely with her friend and theater director, Sergei Diaghilev, (of Ballets Russes fame) as a costume and set designer; it was in this role that Goncharova became most well known in her later years. In her early work, Goncharova combines a Cézanne-inspired brushstroke, a Fauvist love of color and certain repeated motifs (most notably the circular dance formation) shared with Matisse, and a similar worldview (the religious paired with the secular) to that of Gauguin. Such assimilation of these three powerful influences produces work that is at once decorative and empregnated with meaning. Orthodox Christian icons commonly found in homes and churches throughout Russia were well known and loved by Goncharova. Like many artisans and believers before her, she too painted religious scenes as 'gifts from above' that materialized intuitively following ongoing devotional dialogue with the Lord. Adding slight subversions to her 'icons' - for example the blank scrolls of The Evangelists (1911) - she revealed intentions to agitate national tradition and propose alternative, less didactic, and more open approaches to spirituality. Goncharova expresses a particular interest in 'women's work'. Women are often depicted washing and preparing linen, harvesting fruit, and planting new crops. In stature, ordinary people (both men and women) are painted solid and hefty in reference to their position as the pillars of society, yet it is specifically women - historically sculpted as architectural caryatids - that appear most often in Goncharova's oeuvre as the load bearers of society. As a couple, Goncharova and Larinov set a precedent for performance art that was not further developed until during the 1970s. Together, the artists would appear naked in public with their bodies painted in a similar collaboration to that of Marina Abramovic and Ulay. Their experiments also bear parallel to those of Yayoi Kusama; she too blurred boundaries of so-called propriety by appearing with her body used as canvas and her skin painted with spots (it was usually flowers for Goncharova). 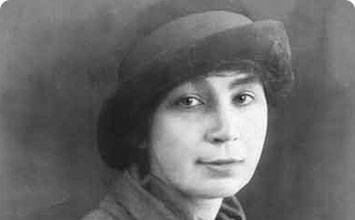 Natalia Goncharova was born in the town of Nagaevo in the Tula Province in Russia to an elite Russian family. Her father, Sergei Goncharov, worked as an architect and was a descendent of Aleksandr Pushkin, the legendary poet and novelist credited as the patriarch of Russian literature and a revered symbol of national identity. Natalia was named after Pushkin's wife, in honor of her family's history. Goncharova's mother, Ekaterina Il'ichna Beliaeva came from a family that had been musically influential, and included a number of significant religious figures who were renowned musical patrons. As a young girl, Goncharova lived on her grandmother's large estate in the country, which gave her a lifelong appreciation of village life and nature. Her nanny often took her to church, which instilled a lasting spirituality. In spite of their noble lineage and significant land holdings, the family suffered financial strain. In 1892, when Goncharova was ten, her father moved the family to Moscow in search of greater financial opportunities. A look of assured simplicity, flowers in hand, and a studio backdrop give insight into the artist's bohemian existence and love of nature. As the art critic Donald Goddard wrote, "The figure exists...in the cycle of her own paintings on the back wall and of the flowers that have been cut. She is between the rough geometry and brushstrokes of the paintings and the organic shapes and brilliant colors of the flowers, not a sacred monster but a human presence, the artist as her own model, and as part of the structure of her own art." Flowers recur throughout Goncharova's career, standing as the moment of the present, not for a time of growth or that of demise, but instead for life's incredible force of now. Flowers are a much repeated subject for modern artists, with Vincent Van Gogh and Piet Mondrian being two of the most notable examples. Whilst Van Gogh chose the sunflower as his signature bloom, Goncharova identifies instead with lilies. She also painted a Rayonist picture of lillies in 1913. The lily has long since had religious associations as the flower of chastity, as presented at the annunciation of angel Gabriel. This, however, was always a white lily and Goncharova chooses an orange alternative perhaps making reference to her own sexual experience. It does though seem important that the lily is a religious flower, for with intentions akin to those of Gauguin when he painted himself as The Yellow Christ in 1889, Goncharova also humbly presents herself as a spiritual figure on earth. Heavily influenced by the Golden Fleece exhibition of 1908, this work painted the following year has much in common with two works that Goncharova would have seen there, Cézanne's Bathers (1898) and Matisse's Le Bonheur de Vivre (1905). As in the work by Cézanne, a group of women gather beneath the trees but here they are clothed. The women enjoy the light and airiness of time outdoors, and there is one amourous couple in the fore ground as is also in the painting by Matisse. Overall though, the figures are more pensive and reserved than the reveling pleasure-seekers found in the Frenchman's rainbow-colored tableau. Goncharova adds a national sentiment with her inclusion of the Russian donkey, and furthermore and most originally, gives the work a religious dimension. The overall meaning of the painting is in fact far removed from Cézanne and Matisse, whose works likely inspired its brushstroke and composition. As the women are picking apples and there exists one male/female couple, the Biblical story of Adam and Eve is evoked. The women, it seems readily take from the forbidden tree of knowledge that led to Adam and Eve's banishment from the Garden of Eden. Indeed, Goncharova painted Pillars of Salt the previous year, illustrating the story of Lot's wife, who looked back at the destroyed city of Sodom after being told not to. The message on both accounts is one of rebellion, and demonstrative that women are not able to be controlled by patriarchal hierarchy. Showing two women and two men, dancing a round dance, on green earth with a dark blue sky behind them, Peasants Dancing is part of The Vintage: Composition in Nine Parts that contains paintings depicting the grape harvest. Arranged together, they were meant to resemble an iconostasis, a backdrop to an Orthodox church altar. The series was paired with The Harvest: Composition in Nine Parts, nine paintings that contained images from the Book of Revelation. The peasants thus dancing become, in effect, earthly saints. Executed in her Neo-primitive style, the work combines the influence of Matisse's two 1910 works, Dance and Music, with the folk imagery and style of lubki, popular woodcuts that depicted images taken from Russian life and folklore. In making the two dimensional figures more sculptural, Goncharova makes them monumental, and by depicting them in a formation that draws from folk and ecclesiastical imagery, she situates them in the Russian cultural tradition. In one of Goncharova's works devoted to a solely religious subject, the artist depicts the four evangelists of the gospels. Each figure, filling a tall narrow panel, wearing a white halo, and holding an unfolding white scroll, is depicted in the Neo-primitivist style which art historian Camilla Gray said is, "treasured most...an almost childish 'directness and simplicity' characteristic of folk art." When this work was shown at a 1914 solo exhibition in Saint Petersburg, Gonchorova was condemned by one reviewer for her "outrageous and repulsive" depiction of religious subjects who added, "The height of outrage are four narrow canvases depicting some kind of monsters labeled in the catalogue as no. 247 'The Evangelists." Banning the paintings, the Ecclesiastical Censorship Committee condemned her as an artistic anti-Christ. The outrage has been attributed to the fact that a woman painted these icon-like images, for icon painting was traditionally reserved for men. But the artist also presents the apostles from her modern sensibility, as she wrote, "People say that the looks of my icons is not that of the ancient icons. But which ancient icons? Russian, Byzantine, Ukrainian, Georgian? Icons of the first centuries, or of more recent times after Peter the Great? Every nation, every age, has a different style." Hoping to create an icon for her age, she portrays the apostles with their large rough hands and hewn faces as strong peasants rather than ethereal saints. Their scrolls are blank, as if the gospels have yet to be written for a new era, and the evangelists themselves appear confused and lost in thought. In the same way that Frida Kahlo left the scrolls of some of her retablos blank, Goncharova refuses to give written words to follow. The message from both artists is that one should seek an independent and self-directed spirituality as opposed to a heavily policed and scripted religion. This work, showcasing a typical Neo-primitivist interest in folk life was shown at the 1912 Donkey's Tail exhibition. 'Donkey's Tail' was the title of the group that Goncharova and Larinov were part of revealing their interest in the base, simple and lowly aspects of life. There is an overall tone of bleakness to the snow-covered scene painted in various shades of grey. According to the Russian art historian D. Sarabyznov, the subdued palette reflects the artist's attraction "to austere images redolent of a dimly remembered past." The woman of the picture is bent double picking up firewood, whilst the men are stooped beneath their burdens. Still, however, there is hope in the sky. The tree that flowers with celestial snowflake blooms is remarkably beautiful. Regretfully, the workers do not look up to marvel at this, but instead focus on the task at hand. Still though, the figures are painted in strong black and brown hues, colors which are echoed by the landscape's dark clouds and tree trunks, and thus suggest however hard, that this is a life lived in harmony with nature. Painted in a Cubo-Futurist style, the work combines images of an iron, lace-trimmed textiles, other articles of clothing, and floating text that helps to evoke the bustling rhythm a laundry. The Russian word 'Prache' is an abbreviation for "laundry", while 'BOT' is a shortened version of the word meaning 'work.' Gonchorova's initials are on the iron in the lower right. The color palette incorporates cool tones of gray, white, and blue, with the blue comparable to the bluing agent used for whitening clothes. Men's shirts, cuffs, and collars are depicted on the left side of the canvas, while women's blouses, aprons, and laces are depicted on the right. Goncharova was highly critical of the Italian Futurist's view of women, and in particular of the opinion of the movement's founder, Marinetti, who said that he despised women. Taken in this light, this piece can be considered as a wry social commentary. Dividing men and women's clothes suggests the division of labor according to gender roles. The artist's name placed on the iron implies a connection, or link of solidarity with the laundress. Yet, the disembodied garments are uniformly white and scattered across the plane of the image in a way that suggests that they exist, for the artist, as interchangeable. Goncharova and her partner, Larionov, experimented with notions of masculinity and femininity through what they wore as means to provoke and challenge social norms. A cyclist races down a cobblestoned street in front of a modern commercial thoroughfare displaying billboards and street signs. The cyclist speeds ahead, and his peaked workers' cap transforms his head into a rounded shape similar to that of the cobblestones. His humble cap is juxtaposed with the glossy black top hat, the ultimate symbol of sartorial elitism, and the text in the same upper corner makes a play on words - the top hat mimics the shape of and stands in for one of the characters of the Russian word for "hat." This work emphasizes the speed and movement that Futurism - both Italian and Russian - saw as the essence of modernity. Although not a direct influence on Goncharova, it is interesting to note that Marinetti's 1909 Futurist Manifesto, emerging in parallel to similar Russian ideology, stated, "On account of the persistency of an image upon the retina, moving objects constantly multiply themselves; their form changes like rapid vibrations." To achieve the effect of dynamic movement, the artist multiplied the cyclist's feet, legs, and body, and also the frame and wheels of the bicycle, to suggest not only forward momentum but the up and down vibrations of the wheels striking the cobblestones. Russian Futurism, which began with the formation of the literary group, Hylaea, in 1912, differed from Italian Futurism in that it was based primarily on literary philosophy and found significance in typography and print, as Gonchorova conveys here. The Russian signs that read "hat," "silk," "thread," could subtly refer to the artist's design work and her interest in textiles, and the clearly visible and isolated "Я", which is "I" in Russian, is a kind of artist's signature. Two cats play, or fight, as a simple domestic subject is used to illustrate the complex new Rayonism art movement. Black and white rays of feline form splinter into shards and intersect with light rays on a primarily yellow ground. The painted lines at once break the united form of the cats, while at the same time imbue the creatures with a liveliness and dynamism, and suggest qualities of the infinite and of connectivity. The piece embodies the intent of the Rayonist ideology, Goncharova and Larinov's futuristic interpretation of reflecting, intersecting, and immersing rays of light. 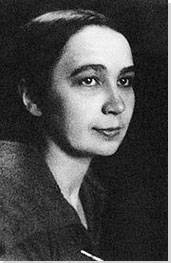 Gonchorova wrote of the new movement, "spatial forms... arising from the intersection of the reflected rays of various objects...The ray is depicted provisionally on the surface by a colored line." The artist saw Rayonism as part of a developing evolutionary narrative; stating that "all existing styles and forms of the art of the past...(are)...points of departure for a Rayonist perception and construction of a picture." Accordingly, Cats shows the influence of several coinciding styles: the aggressive energy of a Futurist composition, the multiple visual planes of Cubism, and the bright luminous colors of Orphism. The result, represented for Goncharova a return to a Russian sensibility of which she commented, "For me the East means the creation of new forms, an extending and deepening of the problems of color. This will help me to express contemporaneity - its living beauty - better and more vividly." Exploring color and light, she intends to foster new ways of seeing, and for the viewer to pursue lines of philosophical enquiry even when looking at rather ordinary subjects. Standing beneath an arched doorway, a Spanish woman wearing brightly colored and patterned traditional shawls, balances a tray of oranges on her head and even more fruit in a basket carried by hand. The work is neither Cubo-Futurist nor Rayonist in style, but instead appears as a sort of painted collage that looks forward to the technique of paper cut outs developed by Matisse during the last decade of his career. In 1916 Gonchorova and Larionov traveled with Diaghilev on a ballet tour to Spain. The trip had a profound influence on Goncharova, as she wrote later, "When I returned to Paris, I started creating images of Spanish women in colors suggested to me by this country's atmosphere." Whilst creating costumes for the Spanish ballet, Triana, she focused on traditional national folk dress. A number of these designs, including the Orange Vendor, later became oil paintings. The work thus reveals the artist's continued love of flowers, and her ongoing interest in textiles. Drawing further inspiration from both her travels in Spain and her work as a costume designer, Gonchorova's famous polyptych - painted on five large canvases - depicts six Spanish women, wearing black dresses, white lace mantillas, and carrying fans. In the background, abstracted clouds (perhaps city pollution) echo the colors from the flowers on the fabric and partial buildings adopt a similar concertina structure to that of the fans. The women face forward, with their faces mask-like, divided into two halves, one light and one dark. As a possible source of inspiration, and one shared by Picasso, Goncharova is likely to have seen African masks by this point (many were brought over to European museums during the early-20th century). By portraying the face split in two, she also recalls the Chinese Yin-Yang symbol, and suggests a need for balance through a combination of opposites. Furthermore, there could be subtle reference made to the two-faced Roman God, Janus, who looked to the future and to the past. Goncharova applies Cubist principles but also hints loudly at ecclesiastical art and the structure of an altarpiece. Indeed, the painting does resemble her 1911 rendering of The Evangelists and her recurring general interest of depicting the human figure with a weight bearing pillar-like presence. Interestingly then, a newspaper critic said of the work at the time, "But these are not women, these are cathedrals!" There is a power to these female figures associated with the dominance and stability of architecture. The patterns on their dresses resemble detail carved in stone, and Goncharova uses the women to illustrate notions of enduring strength whilst paradoxically surrounding them with lightness. Behind a crenellated wall, a dense, gleaming Russian city rises. In red, blue, and gold church spires, towers, and onion domes are outlined against a midnight blue sky. Redesigning his production of The Firebird in 1926, Diaghilev felt that the stage designs for its debut in 1910 were old-fashioned and out-dated, so he commissioned new designs from Goncharova. For the coronation scene - a solemn procession during which the story's hero, Prince Ivan, becomes Tsar and his wife is crowned Tsarina - Diaghilev wanted a backdrop that depicted a walled city evoking Holy Russia. The overall impact is one comparable to the meditative quality of a Russian icon, but the composition, colors, and golden detail also recall the work of Gustav Klimt and imagery associated with the Vienna Secession movement. Gonchorova evokes spirituality and the power of the church as she emphasizes the verticality of the buildings stretching them to tower upwards towards God. She uses the colors red, blue, and an abundance of gold to show that the city is both Russian and sacred. The fact that the city is walled sets it apart in another realm and because the wall is crenellated, we know that it must be defended. The piece provided backdrop for a multi-sensory dance performance, reaffirming once again Goncharova's openness to collaboration and her constant resistance of the boundaries between fine art, theater, and life.